Barbara Slavin is director of the Future of Iran Initiative at the Atlantic Council's South Asia Center and Washington correspondent for Al-Monitor.com, a website devoted to news from and about the Middle East. The author of a 2007 book, Bitter Friends, Bosom Enemies: Iran, the US and the Twisted Path to Confrontation, she is a regular commentator on U.S. foreign policy and Iran on NPR, PBS and C-SPAN. A career journalist, Slavin previously served as assistant managing editor for world and national security of The Washington Times, senior diplomatic reporter for USA TODAY, Cairo correspondent for The Economist and as an editor at The New York Times Week in Review. She has covered such key foreign policy issues as the US-led war on terrorism and in Iraq, policy toward "rogue" states, the Iran-Iraq war, and the Arab-Israeli conflict. She has traveled to Iran nine times. 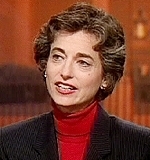 Slavin also served as a public policy scholar at the Woodrow Wilson International Center for Scholars, where she wrote Bitter Friends, and as a senior fellow at the U.S. Institute of Peace, where she researched and wrote the report Mullahs, Money and Militias: How Iran Exerts Its Influence in the Middle East. Copyright ©2011 Barbara Slavin. All Rights Reserved. Web site created by Caliper Corporation.